“Funding remains a major constraint that we face as a Union, which must be a priority in the reform process. It is imperative that member states share the financial burden of our Union through the timeous payment of dues. 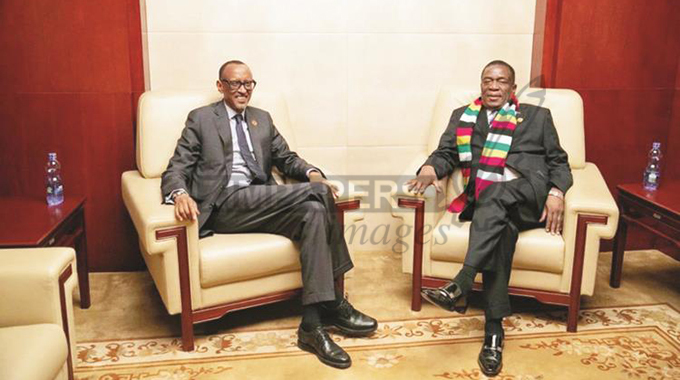 Let us wean ourselves from the donor dependency syndrome and strive to fund our own agenda, programmes and activities in line with the decision taken in June in Johannesburg, South Africa,” said President Mnangagwa. “I wish to encourage others to do the same. Our commitment and sacrifices for the sustenance of the Union should be matched by the effective and efficient management of resources by the African Union Commission (AUC) and other organs of the Union,” added President Mnangagwa. He said reports on abuse of the Union’s resources were worrying. “We are therefore gravely concerned by reports of gross mismanagement of the resources of the Union by some of our organs. It is my fervent hope that all the necessary measures will be put in place to end this unfortunate situation,” said President Mnangagwa. “To that end, we expect that the financial administration and human resources reforms currently underway will be expedited. Accountability, transparency and financial prudence within our organs is a must and not an option. As we agreed at the 11th Extraordinary Summit last November, there should be dire consequences for those who violate existing rules and regulations,” said President Mnangagwa. “As we vigorously pursue the reform of the AUC, we should not forget the reforms of other organs of the Union, to make them fit for the purpose. To this end, the reform of the Pan African Parliament; the African Commission on Human and People’s Rights; the African Union Advisory Board on Corruption; the African Committee of Experts on Rights and Welfare of the Child, among others, should be completed without delay,” said President Mnangagwa.